Hard Hat Fluorescent topcoat ideal for safety marking and colour coding. Fluorescent coating ideal for stencils, safety markings and colour coding. High quality pigment for longer gloss and colour retention. 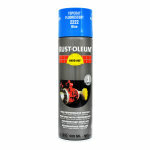 For maximum effect of fluorescent colours, spray over matt white (2190) and finish with HARD HAT clear coat (2500). 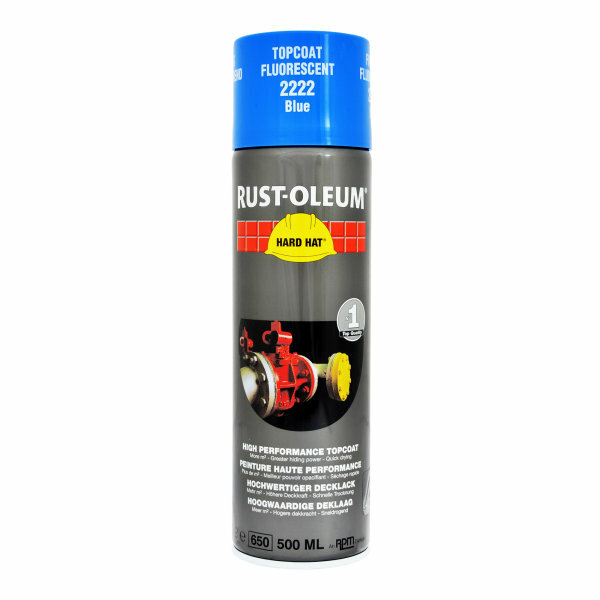 Rust-Oleum Industrial 2200 Hard Hat Fluorescent Blue is available in 1 colours from the Rust-Oleum Industrial Colour Cards.